On 20 February, the Bahamas-flagged car carrier Morning Compass was seized by militants purporting to represent the Libyan Navy. The ship, which was carrying around 5,000 cars to South Korea, was interdicted by a heavily armed skiff and forced to divert to Misrata port, which is located on the western tip of the Gulf of Sirte. The following day the ship was released and resumed its planned course. The skiff belonged to fighters loyal to the Tobruk-based administration, an unrecognized government that operates in Libya’s east and which has de facto control over broad swathes of the country. The internationally recognized, United Nations-backed unity government, situated in the capital Tripoli, has its own naval force. Therefore, the Tobruk-based vessel had no authority to detain Morning Compass under international law. This is the latest in a series of incidents between foreign vessels and armed Libyan craft belonging to both the unity government and non-state armed groups (NSAGs). On 17 August 2016, Libyan naval assets loyal to the unity government attacked the Luxembourg-flagged Bourbon Argos, which had been chartered by the international aid organization, Médecins Sans Frontières (MSF), to assist refugee rescue efforts in the Mediterranean. The incident occurred in international waters, outside Libya’s territorial claims, and involved Libyan naval forces opening fire on the Bourbon Argos. Accounts vary, with the Libyan Navy claiming the shots were fired in warning, while MSF says that naval forces fired at the bridge. With refugees and economic migrants using Libya as a springboard to cross the Mediterranean to Europe, there are also suspicions that the Tripoli government is implicated in human trafficking. A 13 December 2016 report by the U.N. Support Mission in Libya reported claims that Libyan Coast Guard forces were participating in migrant smuggling networks, rather than attempting to curtail refugee flows to European shores. While the report did not detail specific incidents, the lack of regulatory oversight, as well as documented examples of sexual abuse, extortion, and similar activities by Libyan coastguard and naval personnel, means Allan & Associates (A2) assesses these claims as credible. These two incidents are risk-negative indicators of the security environment in the Mediterranean. The Mediterranean links eastern and western markets via the Suez Canal and the Red Sea, North Africa to Europe, and south-western Russia to the rest of the world via the Black Sea. The sea has 22 littoral states, ranging from countries with little to no functional maritime trade, such as Syria, to major trading nations, such as France and Italy. The World Shipping Council’s latest statistics, from 2013, show the Asia-Mediterranean route shipping 6.7 million TEU, and the North Europe-Mediterranean-South America route 1.68 million TEU. Short sea shipping from Spain and Italy alone, according to a 2015 report from the E.U. statistics office, amounted to GWT468.8 million. Therefore, the significance of the Mediterranean to maritime shipping cannot be overstated. A2 assesses that there is a credible threat of armed vessels, either operating under the auspices of the Libyan military or as NSAGs, interdicting civilian vessels within 50km of the Libyan coastline. This poses a major risk to shipping. Unlike pirate activity elsewhere, such as off the Yemeni coast, it is likely that NSAGs will purport to belong to the Libyan government, either in Tripoli or Tobruk. This complicates any attempt at deploying countermeasures, as it could be unclear whether interdicting vessels are genuine naval or coast guard assets. In particular, aid organizations using ships to support rescue efforts in the Mediterranean, such as MSF, are at risk of a kinetic incident. This is because such vessels are more likely to be regarded by Libyan armed maritime fighters as interfering in their country’s sovereign affairs. Furthermore, aid ships are constantly present in and around Libyan territorial waters, making it more likely they will be detected by hostile armed maritime forces. Although the 17 August attack against an MSF vessel did not result in casualties, further incidents could have fatal consequences. The risk is heightened by the lack of professionalism of Libyan maritime forces. Although international actors, including the E.U., are providing some levels of training, this is primarily focused on basic seamanship skills and military capability. Libyan military personnel, therefore, are more likely to overreact when interdicting shipping, and will likely lack the ability to carry out lawful searches without escalation. As at sea, so in port. Ports outside of the capital Tripoli have little to no functional governance, and multiple criminal, tribal and political armed groups operate in these areas. Such groups have unilaterally seized several merchant ships. For example, in February 2017, the Turkish-flagged oil tanker Hacı Telli was seized by armed militants in the north-western city of Zuwarah. The militia claimed that the vessel’s owner owed around USD $4,000 to a local company. Eleven crew members are currently being detained on the ship more than a year later. Moreover, there is a risk that ships entering ports outside the control of the unity government will be engaged by Libyan military forces. On 5 January 2015, a Libyan fighter aircraft launched an airstrike on the Liberian-flagged oil tanker Araevo, killing two crewmen. 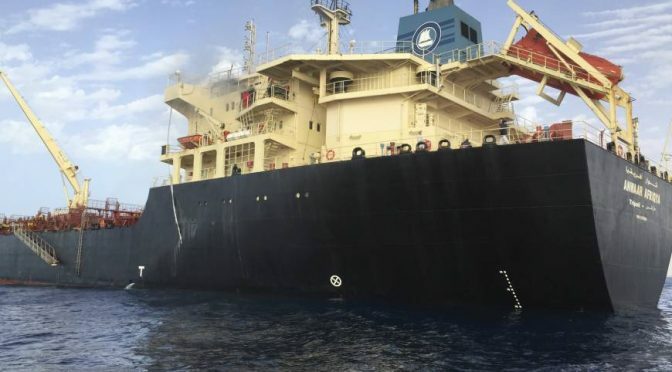 The ship, which was carrying crude oil, had been warned by military units not to attempt to enter Derna port, which was under the control of the Tobruk administration. Logistics operators should regularly update bridge officers on which faction controls intended ports of call, and masters should have discretionary authority to alter travel plans, should they believe there is a kinetic risk from Libyan military forces. These incidents demonstrate that both the Libyan government and NSAGs pose a direct kinetic security risk to shipping calling at Libyan ports, and A2 stresses that maritime operators should carefully consider the feasibility of docking at ports in-country until the security situation markedly improves. This includes oil terminal installations such as Ras Lanuf and Zuwetina, which are located on the Gulf of Sirte and are beginning to ramp up oil exportation operations. There is ongoing fighting in these areas, and control over the ports is fluid and liable to change with little to no warning. Libyan ports are designated by the U.S. Coast Guard as lacking anti-terrorism measures, under the International Port Security Program. Merchant shipping which has previously called at Libyan ports will, therefore, be subjected to increased attention from the U.S. Coast Guard and port authorities. This will likely include delayed travel times due to additional security checks being conducted on said vessels. A2 notes that merchant vessels can minimize disruption when visiting U.S. ports if masters enact heightened security procedures when in Libyan ports. These measures should include minimizing time spent in port, the deployment of guards at ship entry points, and briefing all hands to observe personal security procedures when ashore. Ships calling at European ports could also face increased attention from national security forces, due to the poor security environment in Libyan and other North African ports. Masters can minimize the risk of being targeted for inspection by naval or coast guard units by ensuring location transmission devices are kept on at all times, avoiding diverting from pre-established routes and not using flags of convenience. The lawlessness of Libyan ports also poses a secondary risk: illicit cargo will infiltrate legitimate supply routes. Logistics operators should take steps to implement strict chain-of-custody and supply chain integrity rules and procedures for all cargo loaded in Libyan or other North African ports, to mitigate the risk of illicit shipments infiltrating commercial shipping. Bridge officers should be trained on how to detect suspicious cargo, and all hands should be regularly briefed on their responsibilities under corporate ethics policies and the law. Operators should not rely entirely on customs authorities for supply chain integrity, as it is practically impossible to comprehensively search all ships, and the effectiveness of customs regimes differs markedly between countries. There is an ongoing migrant crisis in the Mediterranean Sea, as refugees from the Middle East and Africa seek to flee by ship to Europe. Libya and other North African countries are a primary staging ground before refugees attempt maritime crossings. The quality of the vessels used is extremely poor, and sinkings are common. Often, this leads to considerable loss of life. Article 98 of the 1982 United Nations Convention on the Law of the Sea obligates masters to render all assistance to individuals ‘in danger of being lost’ at sea. Diversions in the Mediterranean to assist rescue operations could delay scheduled freight shipments. However, A2 reminds maritime operators of their legal obligations in such circumstances. A2 assesses that the security environment around the Libyan coast will continue to decline as multiple NSAGs as well as the Libyan Navy skirmish for maritime supremacy. 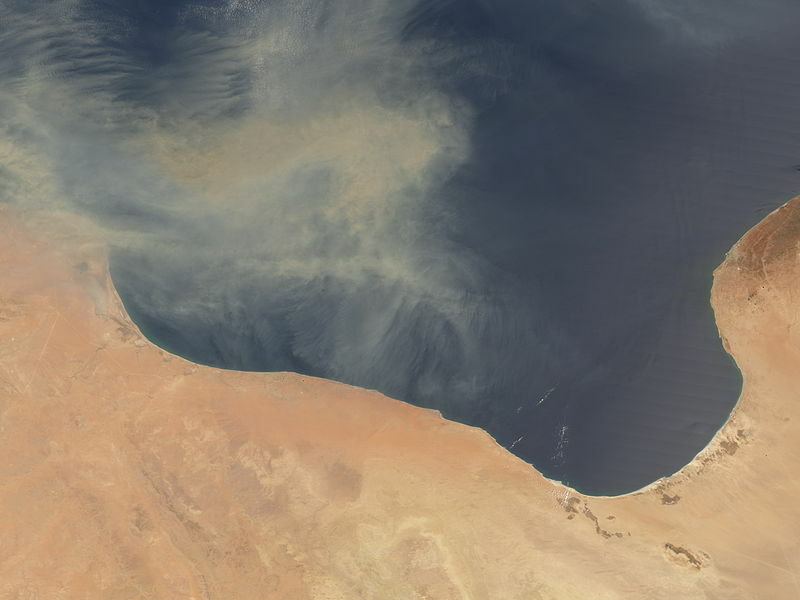 In particular, as oil exportation resumes in the Gulf of Sirte, maritime forces will attempt to gain control of the surrounding ports and waters, due to their increasing strategic importance. Further kinetic incidents against civilian shipping are likely within the one-year outlook, and masters should continue to regard Libyan territorial waters as a high-risk environment until the security situation stabilizes. This will be contingent on a political agreement being reached by the various factions, an achievement which currently seems a remote possibility.